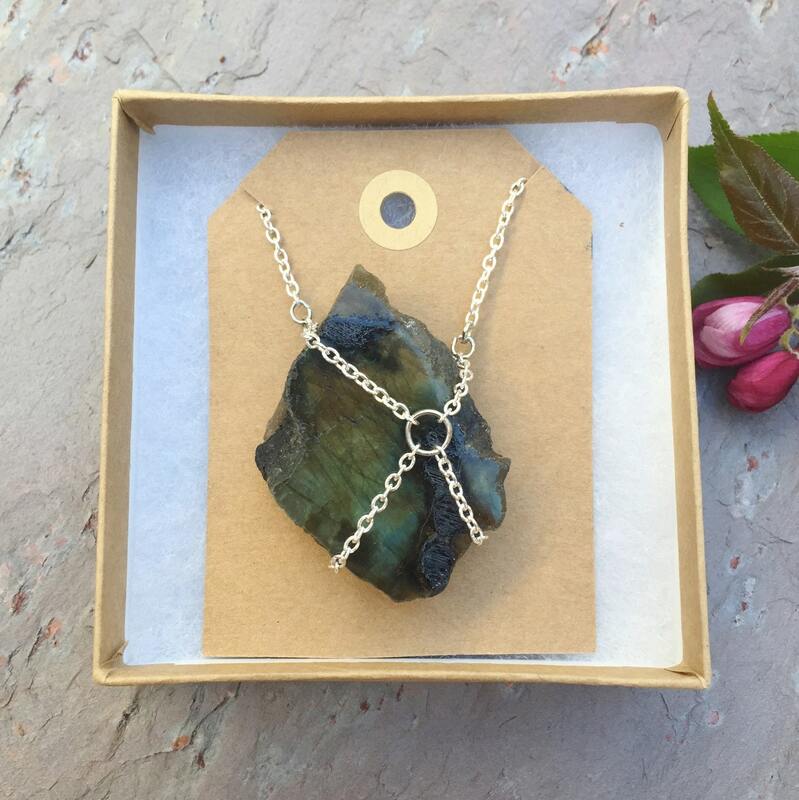 This rad chain wrapped labradorite necklace is top-notch and radiating positive energy. 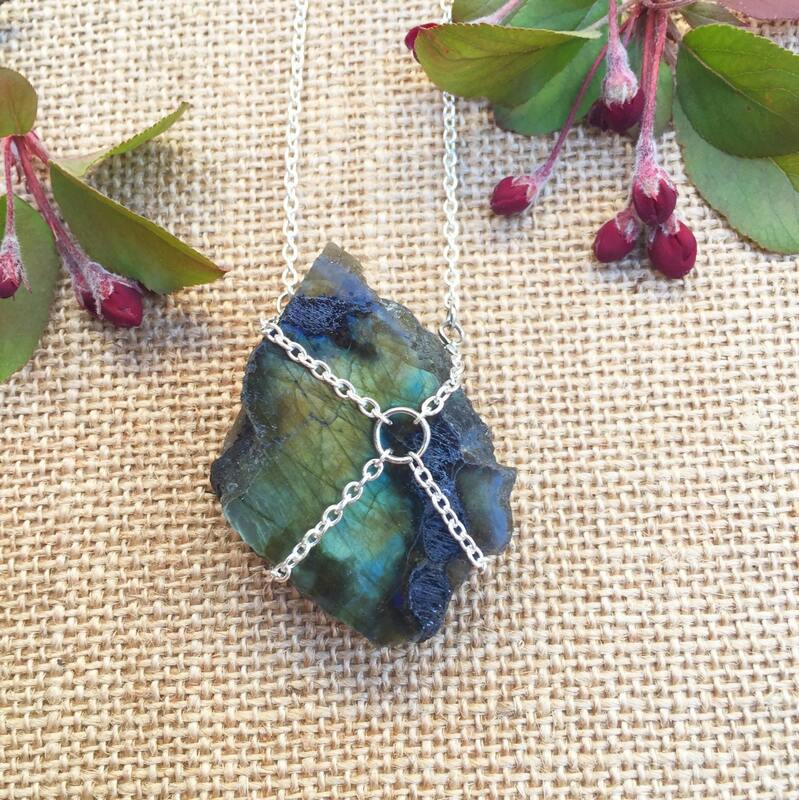 Each mineral pendant is wrapped and hung on 30 inch silver chain necklace. 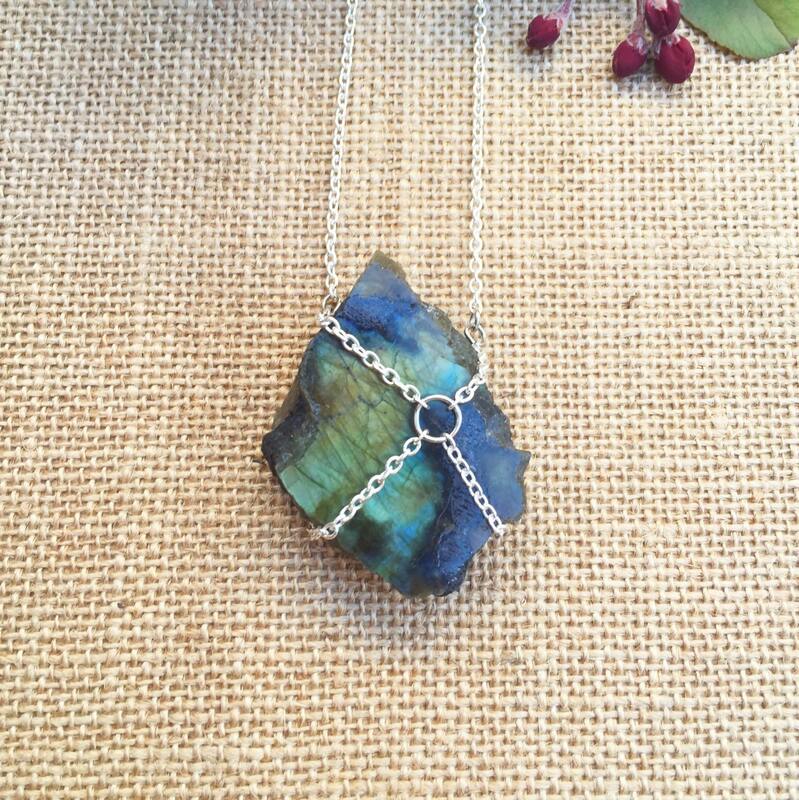 This super rad piece is a one of kind and perfect for any free spirit. -	Calms an overactive mind. -	Energizes the imagination, bringing new ideas. -	Awakens sense of adventure & change. -	Helps banish fears & insecurities. 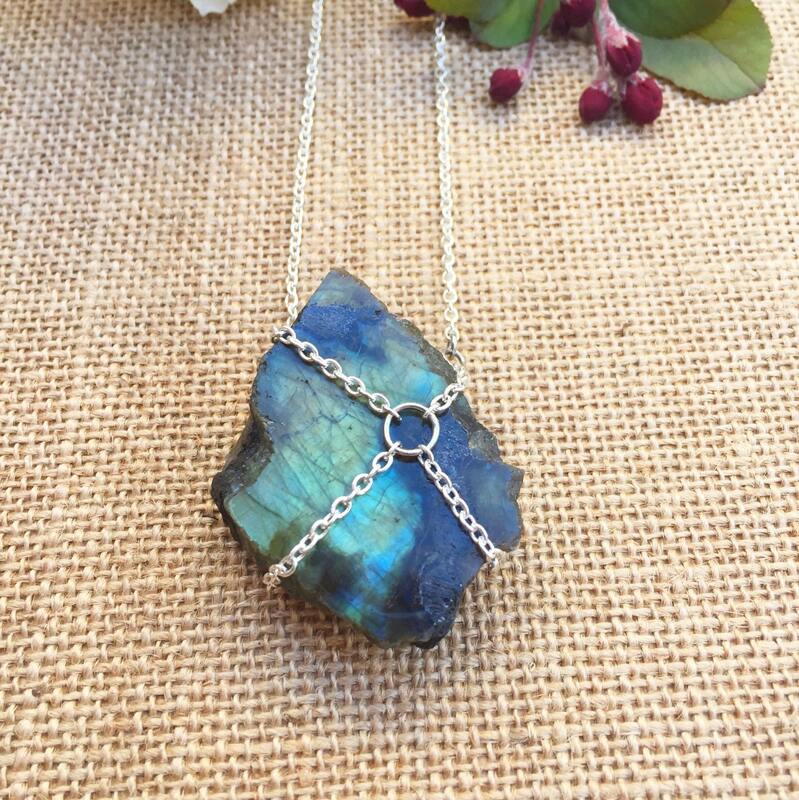 -	Hand-crafted with good vibes.